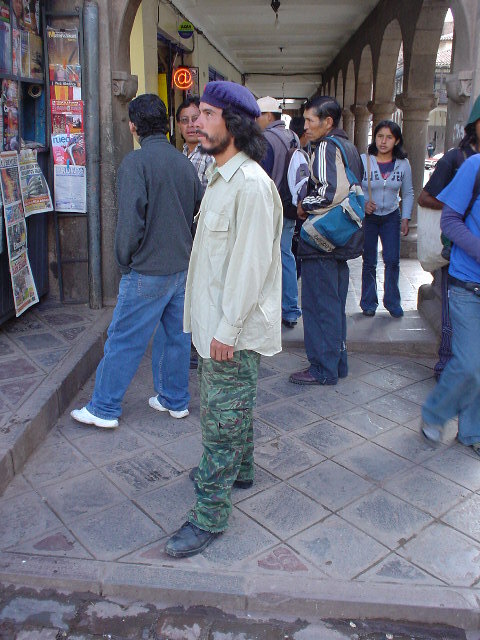 I could not stop myself, I had to induce this man or maybe boy to allow me to photograph him in his Che Guevara outfit. This to me is an obvious infatuation of the man Che Guevara who is the pop idol of the world presently among the clueless generation. I would say this person has a huge desire to be noticed. The ideas of Che were noble in some ways however Communism and Socialism have problems as this boy proves. "In theory, communism would create a classless society of abundance and freedom, in which all people enjoy equal social and economic status. In practice, communist regimes have taken the form of coercive, authoritarian governments that cared little for the plight of the working class and sought above all else to preserve their own hold on power." My thought is this guy does not want to be classless, however he wishes to elevate himself and separate himself from the mass of people, he for sure should get noticed, however he is clueless in the principle or essential idea of establishing a classless society where all are equal as he defines himself as extremely different. This is great fun as the Clueless Generation runs rampant. Note these boys were at least 10 inches shorter than me and obeyed orders and I conducted them to stand. I think he put on his most defiant look in his desire to be famous in the mind of a tourist, little does he know he is not on this page. 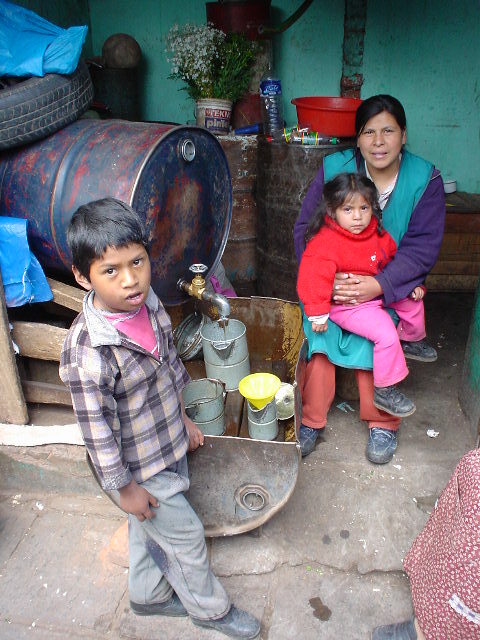 These people are real and far from clueless, they were lots of fun as we discussed how they used kerosene for heat and lighting in Peru. This was way up in the market areas where very few tourist entered as everyone was interested in talking. Family values, basic needs, and laughing, this is a classless world where they do not try to be different. 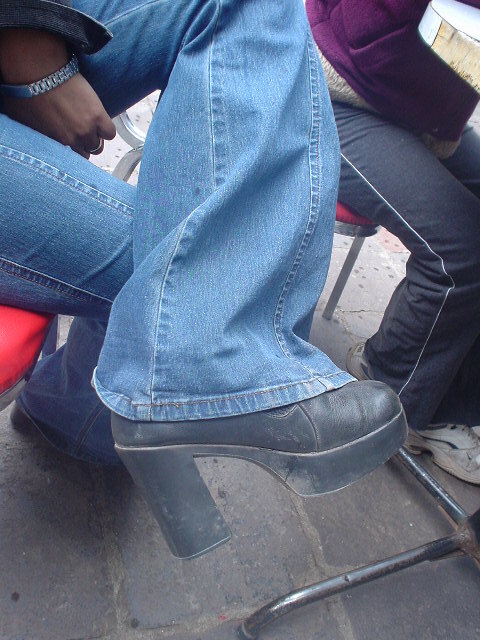 Shoes, very high in South America or Peru, this girl has maybe four inch heel, and then the pants are extra long to accommodate or cover. It must be they have all their pants an extra four inches in length.